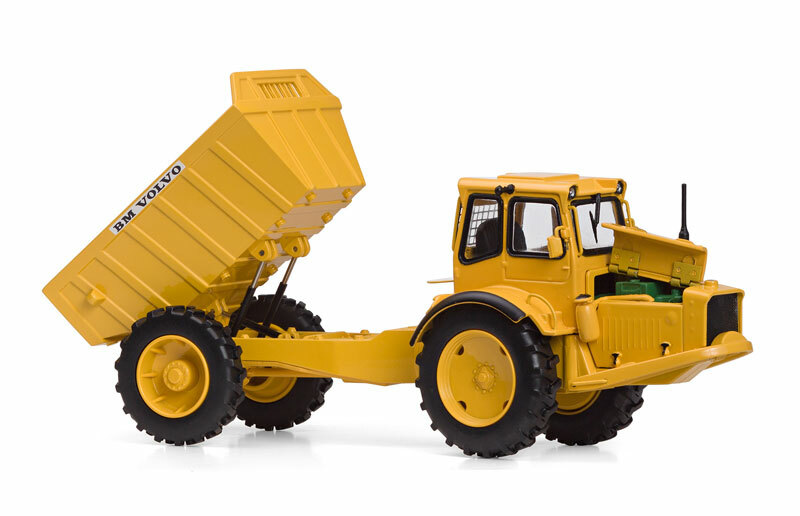 In 1966 Volvo developed DR 631: aka Gravel Charlie, the first articulated dump truck. 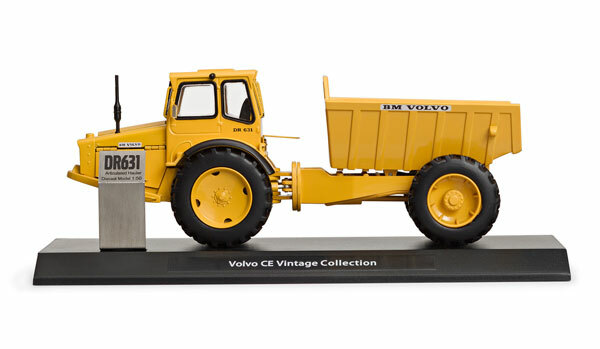 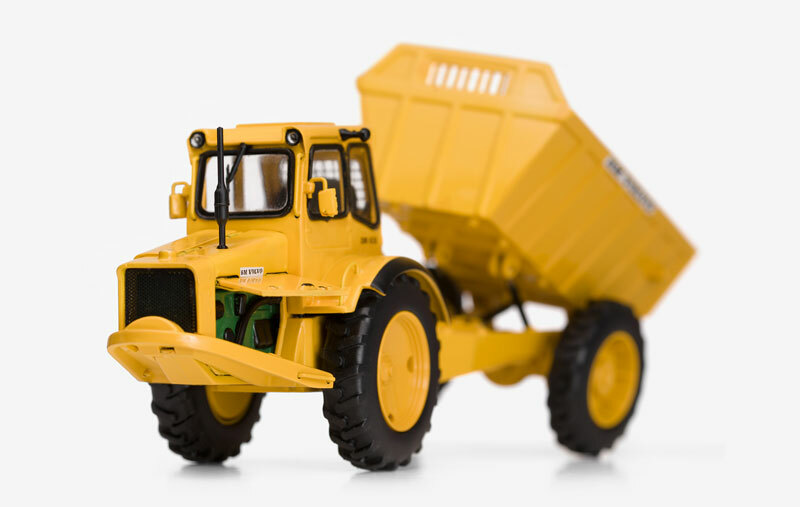 Motorart has replicated this ground breaking piece of construction history with this limited edition model in 1/50 scale. 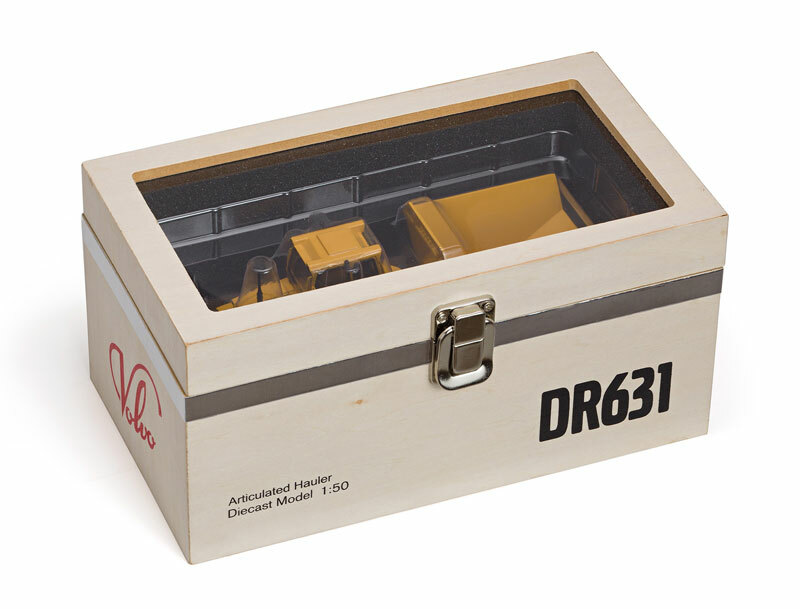 It comes with a tool for opening small hatches on both sides of the engine and is delivered in a Volvo designed retro wooden box.